The Service Desk is a functional unit made up of a dedicated number of staff who are responsible for dealing with a variety of service events, often made via telephone calls, emails, web interface, chat, or automatically reported infrastructure events. The Service Desk is a single point of contact for all Customers on a day-by-day basis, handling all Incidents and Service Requests. Using specialist software tools to log and manage such events, delivering a high percentage of first line fix/fulfilment. The primary aim of the Service Desk is restore the ‘normal service’ to the Customers as quickly as possible, this could involve resolving a technical issue, or fulfilling a service request or answering a query, ensuring best in class communication throughout the lifecycle of the issue/request. The Service Desk Engineer will provide first line technical support to customers across an international base. 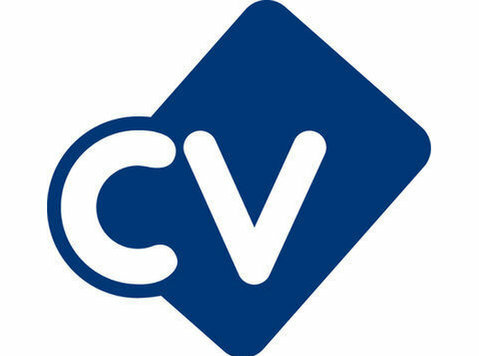 The successful candidate will require an aptitude for working with a variety of Information and Communications Technology (ICT) portfolio of products and services, to undertake analysis, diagnosis and resolution/fulfilment of customer incidents/requests, which may range from straightforward to more complex technical requirements. There is also a range of administration duties within this role. Logging all relevant incident/service request details, allocating categorization and prioritization codes. Providing first-line investigation and diagnosis using approved tools, systems and procedures. Technical Escalations - escalating incidents/service requests that cannot be resolved/fulfilled within agreed timescales, or are out of Service Desk/1st Line scope, to the next level technical team which may include 3rd Parties or other non- Assurance functions. Engaging and arranging external technical support where hands and eyes support are required on-site. Following-up with external technical support organisations including 3rd parties until incident/request resolution/fulfilment. Managerial Escalations – escalating incidents/service requests that are at risk of failing or have failed agreed SLAs/OLAs, or that are out of scope, which may include 3rd Parties or internal roles (e.g. Service Manager, Account Manager). Keeping customers informed of progress. Owning incidents/requests from ticket creation to resolution/fulfilment/closure. Closing all resolved/fulfilled incidents/requests and other queries. Communication with customers – keeping them informed of incident/request progress, notifying them of impending changes or agreed outages, etc. Ensure the Configuration Management System (CMS) is maintained/updated. Maintain an exceptional level of customer service during any engagements with Customers/3rd Parties/Internal Teams. Ensure communication at all times is clear, concise, meaningful, professional and efficient. Provide feedback to appropriate Line Manager on how the Service Desk and supporting functions can improve. Identify need for Problem Management for reoccurring Incidents/Events. Understanding of and familiarity with Customers’ services and solutions. Compliance with Service Operations processes (Event Management, Incident Management, Request Fulfilment, Change Management, and Problem Management) and associated metrics (SLAs/OLAs/KPIs/other metrics). Actively participate as required in meetings (customer, 3rd party, internal). Conducting customer satisfaction call backs/surveys as agreed. Coach/guide ‘Service Desk Engineer – Junior’ and ‘Service Desk Analyst’. Act as delegate for ‘Service Desk Engineer – Senior’. Act as technical escalation gate for ‘Service Desk Engineer – Junior’. Higher First Line Fix/Right First Time than ‘Service Desk Engineer – Junior’. MS Office – Intermediate (must). Awareness of ITSM tools (Siebel, Remedy, ServiceNow, Clarify, HEAT) (must). 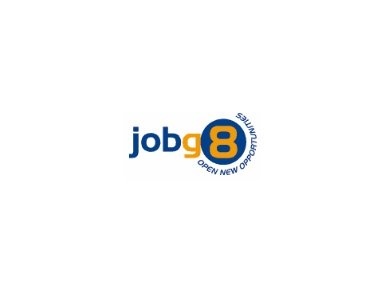 1 year experience in Customer Service/Contact Centre/Help Desk/Service Desk role (must). 1 year in a process driven organization (must). Experience working in a multi-cultural/international environment (desirable). Experience in fault diagnosis/troubleshooting and fulfilling requests (must). General ICT industry understanding (must). High School Degree in IT related discipline (must). BSc/BA Degree in ICT/Telecommunications/Business Administration or similar discipline (either complete or in-progress) (must). CCENT knowledge, Network+ or equivalent (complete or in-progress) (must). Awareness/understanding of optical technologies (desirable). Understanding of Cisco/Juniper hardware/software – routers/switches. Awareness/understanding of Unified Conferencing products (video, Skype for Business) (desirable). Awareness/understanding of of Hosting and Security products (desirable). Knowledge and understanding of TCP/IP (OSI) model and routing protocols (must). Understanding the basic functions of the following protocols: DNS, DHCP, IPv4, TCP/UDP, VPN, VLANs (must). Experience with Cisco/Juniper OS on CLI using show commands to troubleshoot issues (must). Knowledge and understanding of different types of common WAN connections (must). Honest, professional, disciplined, adaptable, quick learner, cost conscious, Team Work/Player, Self-motivated - can work alone and/or as part of a team, Feels empowered to make the right choice(s) and decision(s), co-operative, actively participates, and shares information with applicable team/people/customers, positive and approachable, Takes charge and is accountable to colleagues/customers/3rd parties., Identifies and shares areas for improvement(s), Invites and promotes ideas, Embraces and drives change, Identifies ways to improve efficiency and results, Results Oriented, Can resolve problems quickly and effectively, Visualises what could be, considers alternatives, engaging in ‘what if’ thinking, Is always calm and productive, Escalates problems/concerns where appropriate, Forward thinker, Detail-oriented and organised approach to work, Efficient and productive with good time management skills, Can prioritise tasks and accept responsibility for decisions and results, Good written and verbal communication skills, Confident communicator, Able to summarise and present information adapted to the target audience, Able to converse with people from all levels within the company and customer/3rd party organisations, Uses tact, diplomacy and creativity to overcome conflicts.